Standing at your doorway, wont you let me in? Baby don’t let me down. Baby don’t you let me down. Find a way to make it better. Can you feel it yeah can you feel it in the air? Can you feel it, can you feel it touching down? Me quieres, ?por qué me dices ahora que no? .JERRY LEE LEWIS « GREAT BALLS OF FIRE ». Goodness gracious great balls of …NEXT! .SHOWADDYWADDY « UNDER THE MOON OF LOVE ». .GREASE « BORN TO HANDJIVE ». Born to hand jive oh yeah! .I WANNA HOLD YOUR HAND. .TAKE THAT « I FOUND HEAVEN ». .THE TEMPTATIONS « JUST MY IMAGINATION ». .THE TEMPTATIONS « MY GIRL ». .THE FOUR TOPS « REACH OUT (I’LL BE THERE) ». 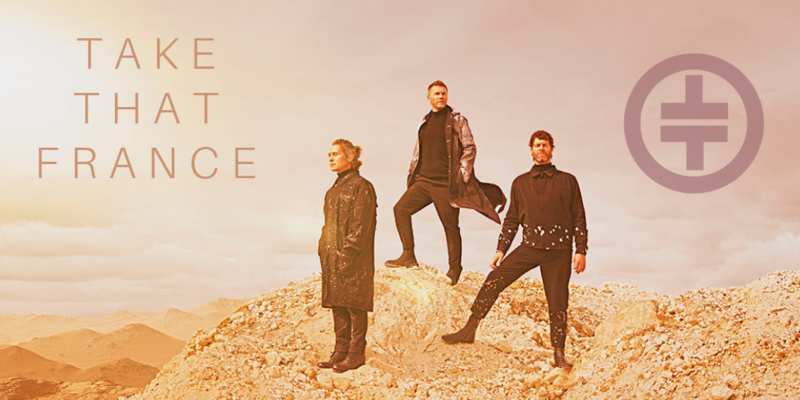 .TAKE THAT « I FOUND HEAVEN » (reprise). .THE TEMPTATIONS « GET READY ». .THE TEMPTATIONS « TREAT HER LIKE A LADY ». .JAMES BROWN « I FEEL GOOD ». Then the darkness comes and takes you far away? she never loved me at all! too long and now I must go. you want me to be near. it seems she’s right and high again!